The Clean Air Council, financed by the William Penn Foundation and aided and abetted by sister outfit State Impact, targets another infrastructure project. The Philadelphia-based anti-fossil fuel group Clean Air Council has announced through their media/public relations mouthpiece (the William Penn Foundation funded StateImpact Pennsylvania) that they’ve launched yet another frivolous lawsuit – this time against Sunoco Logistics and their Mariner East 2 pipeline plan. The Clean Air Council has launched so many lawsuits against the oil and gas industry we’ve lost count of the number. It’s all part of a campaign to stop development of any oil and gas infrastructure anywhere – all financed by the William Penn Foundation and its gentry class friends. Once called The Delaware Valley Citizens’ Council for Clean Air, is a non-profit (i.e. non-taxed) the Clean Air Council and its parent funder are clearly engaging in political activity in violation of their non-profit charter – yet government officials ignore those violations. It has, without standing, filed a lawsuit in the Philadelphia Court of Common Pleas (the lowest trial court, essentially what other states call county court), charging that Sunoco Logistics, contrary to decades of accepted recognition as a public utility in Pennsylvania, is not actually a public utility and, therefore, cannot assert eminent domain against a few holdout landowners who refuse to allow the Mariner East 2 pipeline to be placed next to the existing Mariner East 1 pipeline already crossing their land. Essentially, the argument in the Clean Air Council lawsuit boils down to a technicality. Even though the Pennsylvania Public Utility Commission (PUC) has twice ruled that Sunoco Logistics is a public utility (in 2002 and again in 2014), the Clean Air Council says because the Mariner East 2 will contain small off-shoots that reach into Ohio, West Virginia and Delaware, it should come under the purview of the Federal Energy Regulatory Commission (FERC) and not be allowed to operate under Pennsylvania’s eminent domain statutes. The Clean Air Council is asking the Philadelphia Court of Common Pleas to rule that Sunoco cannot assert eminent domain to seize land from uncooperative landowners because it is not a public utility corporation and so cannot assert eminent domain. 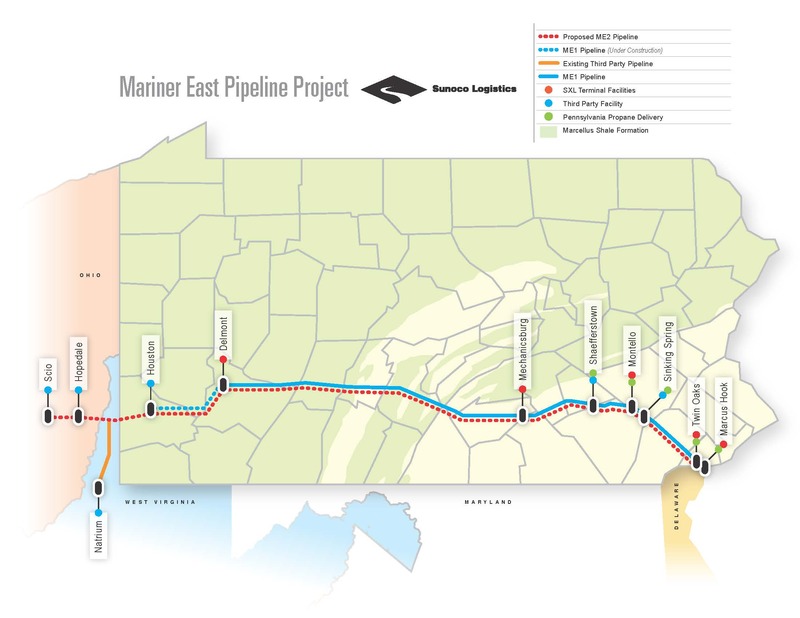 In the suit, filed Thursday, the plaintiffs argue that the proposed Mariner East 2 pipeline that would run across the state to Marcus Hook near Philadelphia is an interstate entity because it would extend to Ohio, West Virginia and Delaware, and therefore is regulated by the federal government which does not confer public utility status. The complaint argues that the natural gas liquids that would be carried by the pipeline are regulated under the Interstate Commerce Act which confers no eminent domain rights. 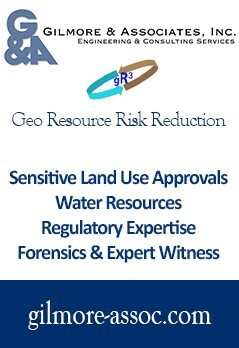 Even if it was determined that the pipeline would operate entirely within Pennsylvania, the company would not be entitled to assert eminent domain because it has not sought or been granted a certificate of public convenience – which would authorize eminent domain proceedings – from the state’s Public Utility Commission, the plaintiffs say. Sunoco, which asserts that it does have public utility corporation status, issued a statement saying it will fight the suit. “We vehemently disagree with the Clean Air Council’s lawsuit and plan to stridently defend our previously confirmed status as a public utility corporation,” said Sunoco spokesman Jeff Shields. Nils Hagen-Frederiksen, a spokesman for the PUC, confirmed that the commission ruled in 2002 and again in 2014 that Sunoco does have public utility status. He noted that the PUC has no role in eminent domain, which is determined by the courts. The suit adds to the pressure on Sunoco from landowners along the pipeline who are challenging eminent domain actions. Michael Flaherty, an attorney for about 120 of the landowners, said the PUC’s affirmations of public utility status applied only to its existing Mariner East 1 pipeline that operates within Pennsylvania, and is not applicable to the planned Mariner East 2 because that would extend beyond state boundaries. “If Sunoco doesn’t have the right to eminent domain, it’s going to have to reconsider whether it has the ability to construct the pipeline that traverses the state,” he told StateImpact. We thank Mr. Bomstein for confirming the group’s true objective. Editors Note: The key thing here is to understand who’s really speaking when the Clean Air Council and State Impact team up to launch a broadside at a project. Both the Clean Air Council and State Impact, as well as the Delaware Riverkeeper and PennFuture, are financed by the very same wealthy elites out of Philadelphia and Pittsburgh, beginning with the William Penn Foundation, which, as a private foundation, shouldn’t be involved in any lobbying. Jim is absolutely correct – they should all lose their tax exemptions. The fact they don’t is all part of the same pattern of corruption and cronyism among these elites both in and out of government that is causing such a political stir today. It’s time to rein in these rich non-profits and end their undue influence. For more great articles on the subject of natural gas development every single day, subscribe to Marcellus Drilling News using this convenient link. Another blast from the “No Generation”…..
….and on it doesn’t go. I’d like to get their real opinion when their lights go out, or their cars stop running. A more appropriate handle for the William Penn Foundation would be, “the William Penn Flounderation”. When is the mainstream media going to cover what is really going on with this anti-fracking anti infrastructure and pipeline movement one has to wonder. Tom – Those are folks just like you with families just like yours. This might get interestig for a lot of iminate domane victoms? They shoulda went for a energy grid. nice and square ,nice and fare! The most important aspect of all this that you people cant understand is these pipes are suposed to be used to suply energy to consumers! Not energy manipulation for the rich! All NY or no NY-Well permits then pipes-that,s just how it should be.Nice and fare and square!Always a backup-no cherry picking.